I admit this book was a cover buy for me. I bought it for two dollars at our library book sale. The cover immediately caught me eye, and once I saw the title I was intrigued. I’ve read Hamlet in multiple classes and spend numerous hours discussing Ophelia, her madness, and her death. A book dedicated entirely to her untold story seemed like it would be very interesting. Lisa Klein is a good writer. She writes with a very beautiful, descriptive style. But I found that as I got further into the book, the writing started to bother me more and more. I think that because she writes in such a slow, descriptive way, Klein takes much longer to get a point across and say anything. So by the end of the book the writing seemed so, so slow. I understand that this is Ophelia’s untold story, but what I didn’t think this book would be was a chronicle of her entire life. It’s more like a biography. I thought this would be Ophelia’s story specifically around the events of the play, which I think would have been much more interesting. Part I was about Ophelia’s life as a child. At the beginning it was interesting, but by the end I was ready to move on. There wasn’t really any plot, it was just chronicling her life. By the time Part II came around, I was ready for some action. This is when most of Hamlet’s madness and the events of the play take place. But still, Ophelia is pretty far removed from the action. Part III seemed entirely unnecessary in my opinion. Ophelia escapes the castle, hides as a convent, and worries. One of the things that bothered me about this book is that Ophelia is a member of the “special snowflake” club. She’s the only girl in court who wants to educate herself, and she’s the only girl who finds like at court boring and unfulfilling. 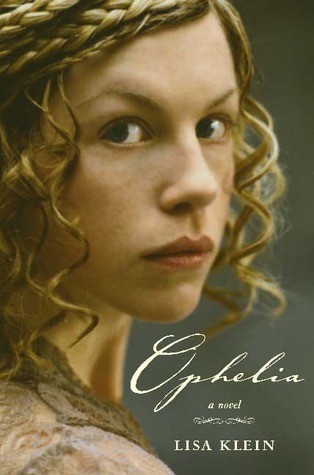 Since Ophelia is so different from other girls, I assumed she was being set up to the hero of the story. However, in this novel, just like the play, Ophelia is a bystander. Part III really bothered me because all Ophelia does is worry about her safety. She greatly overestimates her importance, which is why she had to pretend to die and flee the castle. Ultimately, this wasn’t the book I was expecting. It seems like a lazy retelling. It was pretty boring and Ophelia as a character wasn’t much stronger than she was in the play. However, after reading this, I am more excited for the movie coming out. I think the movie is going to end up being very different from the book, because if the movie is exactly like the book, that is going to be one boring movie.